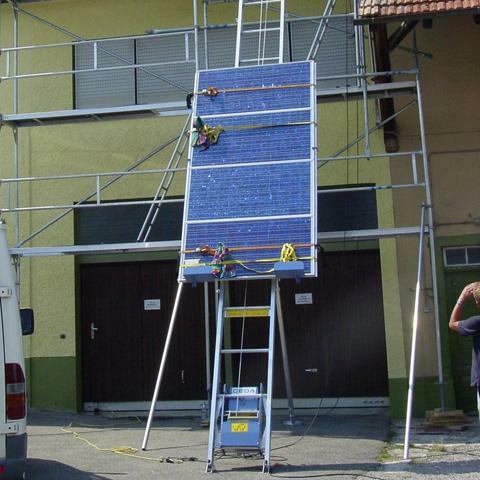 GEDA USA’s original Solarlift, also called a panel lift or PV panel lift, is an economical solution for the speedy and safe transport of photovoltaic and solar panels. 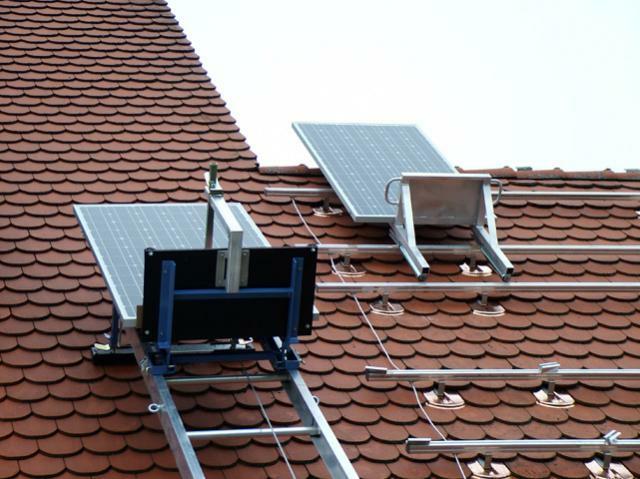 Specially designed with a custom carrier that functions as a cargo receptacle, GEDA's solar panel lift is a space-saving way to reach inaccessible loading areas. 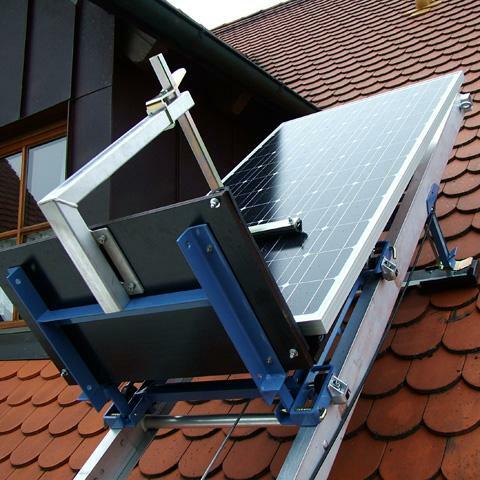 Guaranteed to comply with all industry safety standards, GEDA Solarlift special purpose hoists are trusted by site managers and facilities across the globe. For more information about ordering, pricing or product specifications, contact the GEDA USA team today. 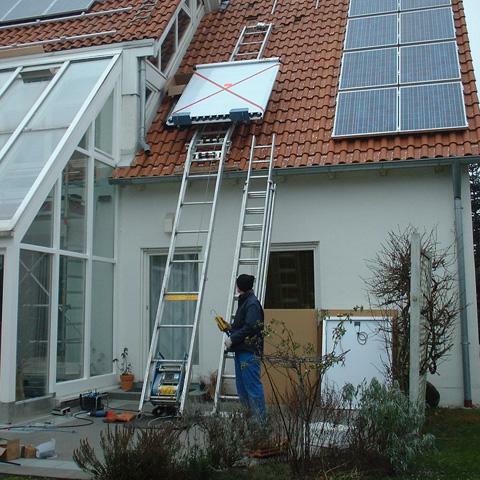 Solarlift options include the GEDA Lift 200 Standard and the GEDA Lift 250Comfort, available with a single lift speed. For job sites requiring more flexibility, the Fixlift 250 is built with two lift speeds that can be adjusted on the fly. 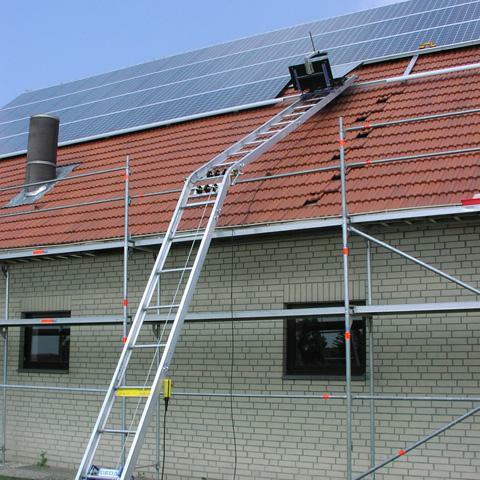 Load bearing capacity depends on the type of ladder segments, their inclination and their total length. Choose between ladder segments with a useful load of 332 lbs/441lbs, or reinforced ladder segments with a useful load of 441 lbs/551 lbs.